We are very lucky and super-excited to have bagged a visit from best-selling novelist Robert Goddard! 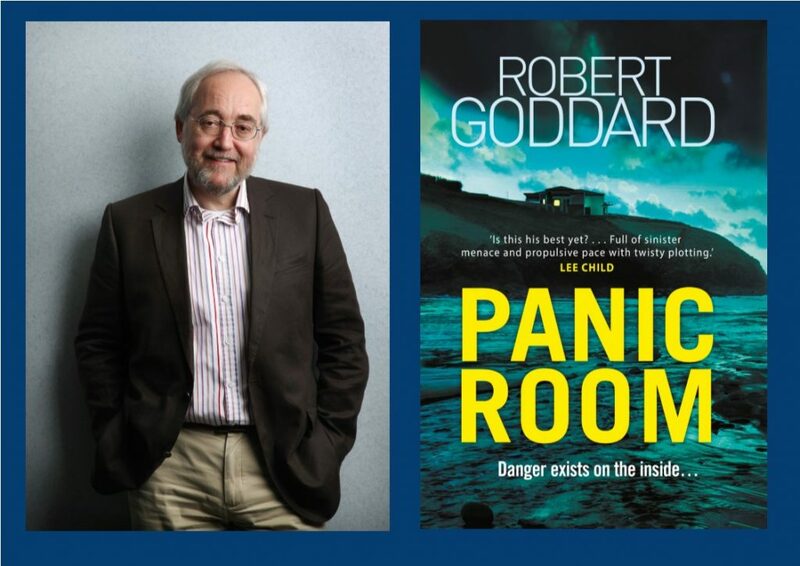 Robert Goddard, aka ‘The world’s greatest storyteller’ (The Guardian) will be introducing his 27th novel, Panic Room, a contemporary thriller set in Cornwall, which sees him at his nerve-shredding best. Robert will be in conversation with Sussex thriller writer William Shaw. We are looking forward to hearing about the background to Panic Room, his research and inspiration, his array of past best-sellers, and just how he achieves such mastery in the art of suspense and plotting! Tickets include a delicious 2 course meal, and a copy of ‘Panic Room’. Robert’s other novels will also be on sale for signing. Robert Goddard is the author of 27 novels, many of which are Sunday Times Top Ten Best-sellers, including The Wide World Trilogy, Fault Line, and Past Caring. He was born in Hampshire in 1954. He was educated at Peterhouse, Cambridge where he read History. He unsuccessfully pursued various career options, finally spending ten years as a local government officer. Frustrated with a lot of contemporary fiction, he set out to write a novel that did what he wanted more novels to do: tell a tightly constructed and densely plotted story engrossingly and satisfyingly. The result was Past Caring (1986) and when it became a success he realised that he had, in fact, always been a writer.